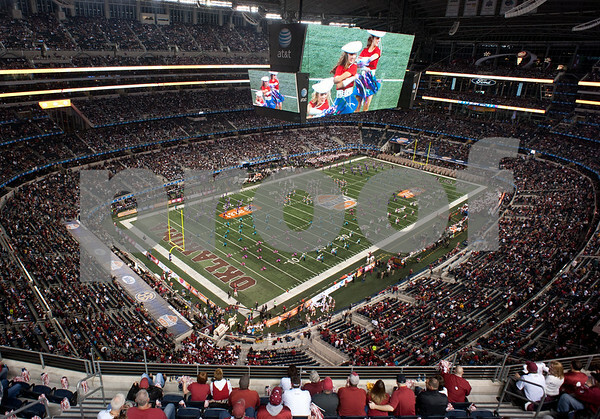 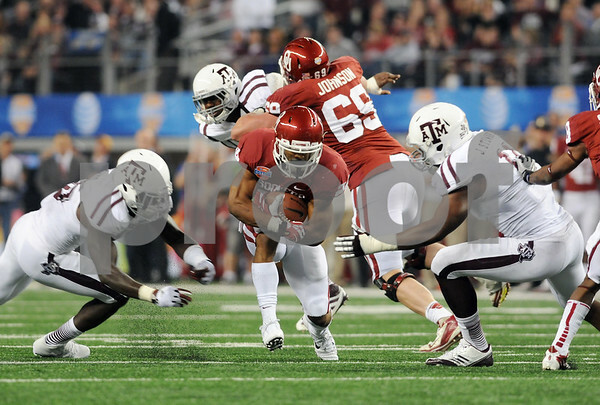 photo by Sarah A. Miller/Tyler Morning Telegraph Oklahoma Sooner's (19) Justin Brown scores a TD and is followed into the end zone by Texas A&M Aggies' (11) Jonathan Stewart and (29) Deshazor Everett at the AT&T Cotton Bowl Classic Friday night at Cowboys Stadium in Arlington. 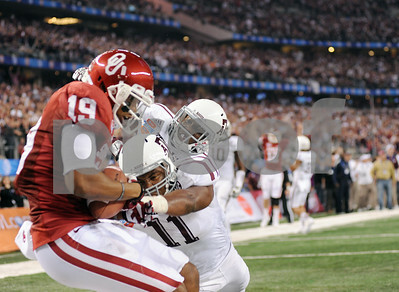 photo by Sarah A. Miller/Tyler Morning Telegraph Oklahoma Sooners (24) Brennan Clay breaks through a pack of Aggies during the Cotton Bowl. 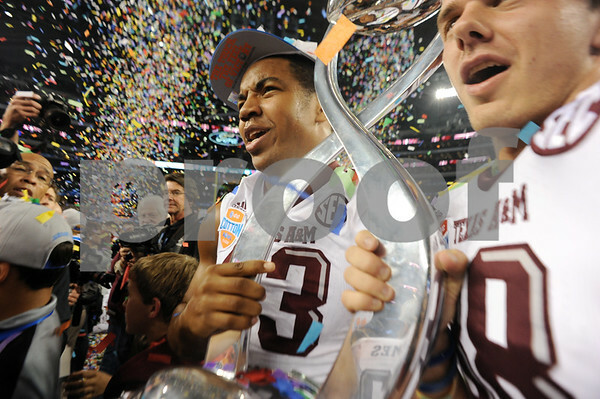 photo by Sarah A. Miller/Tyler Morning Telegraph Texas A&M's (2) Johnny Manziel celebrates his first TD of game with teammate (25) Ryan Swope at the AT&T Cotton Bowl Classic Friday in Arlington. 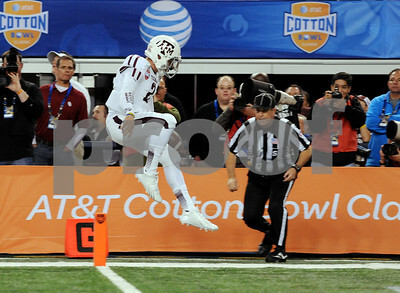 photo by Sarah A. Miller/Tyler Morning Telegraph Texas A&M's (2) Johnny Manziel makes his first TD of game at the AT&T Cotton Bowl Classic Friday in Arlington. 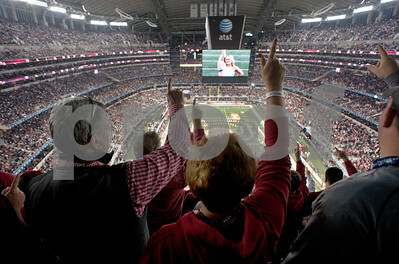 photo by Sarah A. Miller/Tyler Morning Telegraph Oklahoma Sooner fans sing along to the marching band during the pre game show at the Cotton Bowl at Cowboys Stadium in Arlington Friday night. 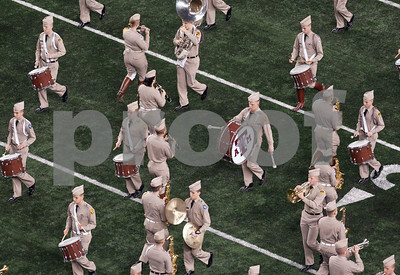 photo by Sarah A. Miller/Tyler Morning Telegraph Kilgore Rangerettes perform during the pre game show at the Cotton Bowl at Cowboys Stadium in Arlington Friday night. 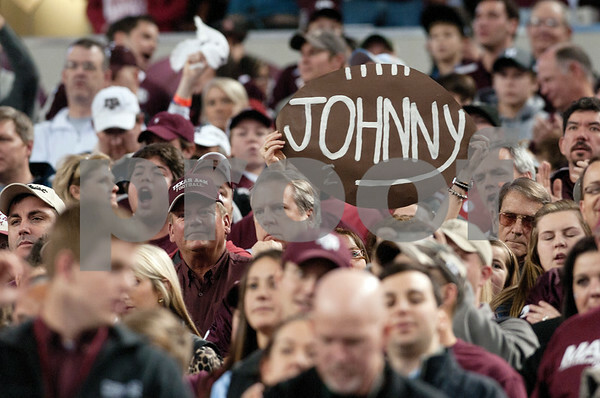 photo by Sarah A. Miller/Tyler Morning Telegraph Fans at the Cotton Bowl hold a sign for Texas A&M's "Johnny Football" Johnny Manziel at Cowboys Stadium in Arlington Friday night. 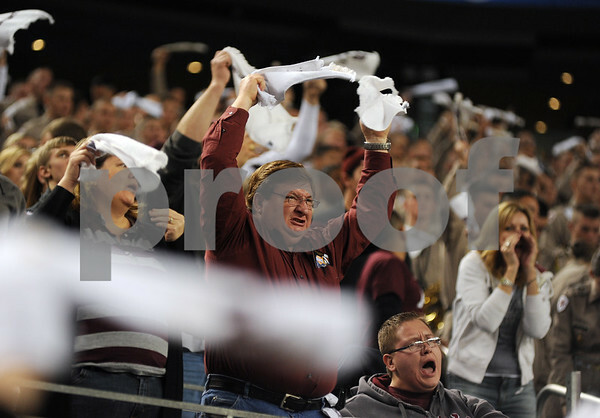 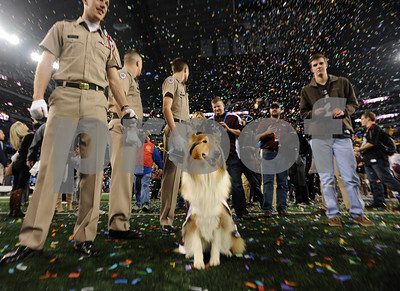 photo by Sarah A. Miller/Tyler Morning Telegraph Texas A&M Aggie Band at the Cotton Bowl at Cowboys Stadium in Arlington Friday night. 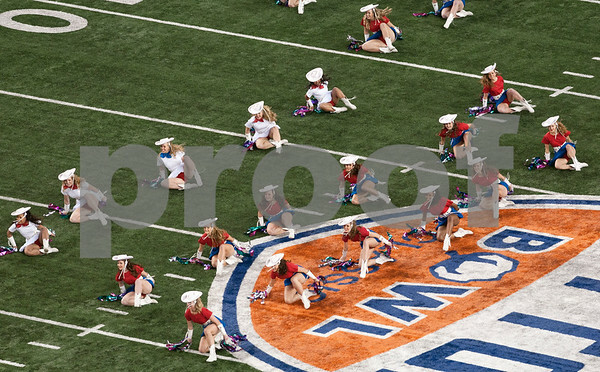 photo by Sarah A. Miller/Tyler Morning Telegraph Kilgore Rangerettes at the Cotton Bowl at Cowboys Stadium in Arlington Friday night. 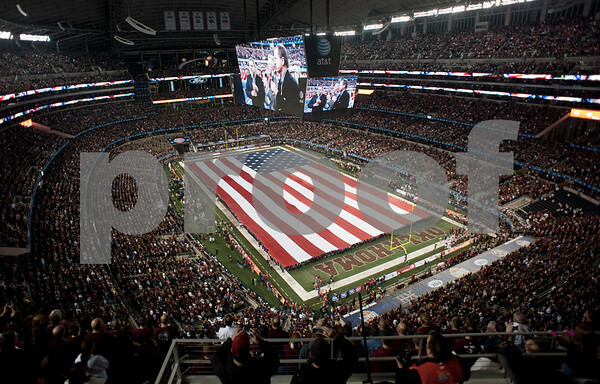 photo by Sarah A. Miller/Tyler Morning Telegraph National Anthem at the Cotton Bowl at Cowboys Stadium in Arlington Friday night. 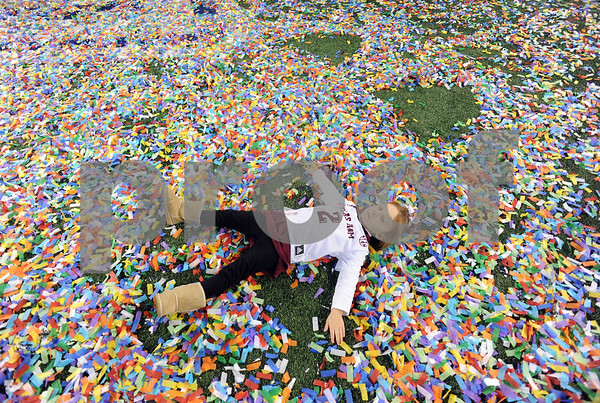 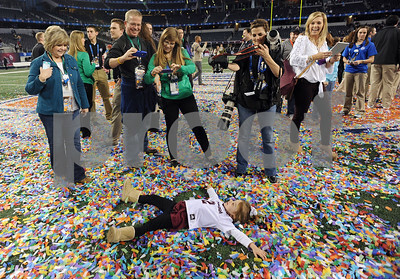 photo by Sarah A. Miller/Tyler Morning Telegraph Kate Moore, 3, of College Station makes snow angels in the confetti on the field after Texas A&M won the AT&T Cotton Bowl Classic in Arlington Friday.